Antonio Pappano and Renato Balsadonna conduct two great casts led by Ermonela Jaho and Ana María Martínez in Moshe Leiser and Patrice Caurier’s production of Puccini’s deeply poignant opera. Ermonela Jaho was breathtaking in the title role. Her singing was sublime, as was her acting. As the interviews before the show and during the interval showed, she managed to convey through her voice as well as her acting the growth and developing maturity in her character. I’d forgotten that Cio-Cio San (Butterfly) is only 15 when she’s married to the caddish Benjamin Franklin Pinkerton as part of the deal to buy a 999-year lease on a house in Nagasaki. He seems to do this on a whim, as he passes through the port on his navy battleship. What a selfish swine he is! His remorse at the end is dastardly. 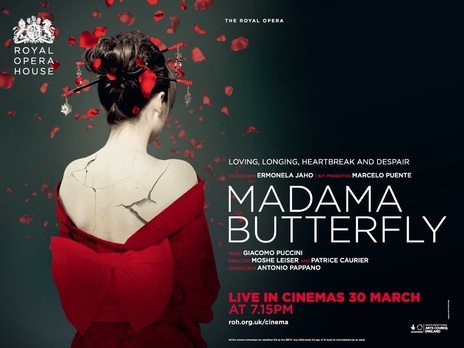 Elizabeth DeShong as Butterfly’s maid, Suzuki, was particularly touching in portraying her devotion to her young mistress. He’s captivated by the girl’s radiant beauty and trusting innocence. There’s a slightly creepy edge to his character, given how young the girl is, and the wedding night scene is slightly unsettling as Butterfly lies passively on the floor at his feet as he salaciously unbuttons his tunic. This production never lapses into sentimentality: it’s hard-hitting and honest. Some of his words take on a chilling significance in this new era of American politics when he brags about Americans’ view of themselves as having a god-given right to do what they like where they like with whom they like. The story is simple and heartbreaking, and I’d defy anyone to sit through this magnificent production dry-eyed. The set is beautiful, the musicians, direction and singing spine-tingling. Even the lighting and costumes play an important part in the experience. Although the immediacy of a live performance is diminished by watching it on a screen, there’s a benefit derived from the clever film director’s use of well-prepared close-ups or choice of frame to enhance the story-telling and spectacle. If you get a chance to see one of these ROH live stream performances – they play all over the world – I’d urge you to do so. There’s a link HERE to their searchable schedule. This early PMC edition has one of those lovely two-tone covers (this one drawn by R.A. Glendening) and the number on the spine (1891), with the distinctive grey bands of the early Modern Classics series. Unfortunately the novel (the only one Connolly wrote; he produced a large body of journalism, literary reviews, memoirs, etc.) doesn’t live up to the design. It has some pleasing linguistic flourishes, but ultimately it disappoints. I have been asked why I chose such unpleasant, unimportant and hopeless people to write about…I don’t know. He doesn’t have a great deal of money, the narrator blandly insists, ‘just under a thousand pounds a year over which a trustee mounted guard like a dragon’. Poor chap – almost destitute. Later he’s said to have ‘enough money to avoid the general discipline of the professions, and not enough to buy more than indifferent consideration.’ How vulgar, to work for a living. 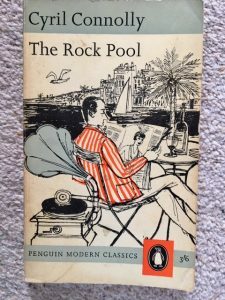 Naylor was neither very intelligent nor especially likeable, and certainly not very successful, and from the image of looking down knowingly into his Rock Pool, poking it and observing the curious creatures he might stir up, he would derive a pleasant sense of power. It comes as no surprise that every soi-disant ‘artist’ or eccentric he meets fleeces him or cheats him barefacedly, cutting him dead as soon as they lose interest in him or his money runs out. He finds his money can’t even buy him love or friends. 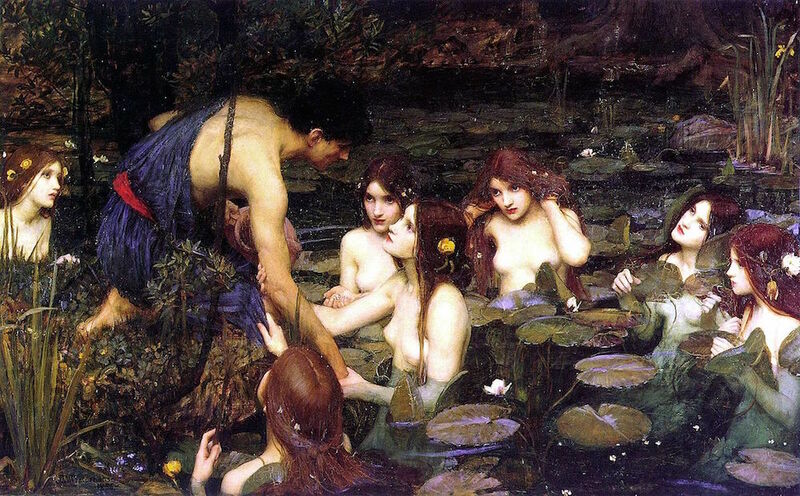 The outcome is inevitable: from this starting point as ‘specimen’ collector and observer, he falls into the pool he intended anatomising, like Hylas with the Hamadryads (mentioned in the epigraph and foreword) and is doomed. Unfortunately I didn’t care what happened to him, and cared even less about the cast of scoundrels and drifters he felt he could lord it over. He’s naive enough to find them initially exciting and attractive, then as they reveal themselves to be even more shallow and morally deficient than he is, his disillusionment intensifies his predilection for self-pity. She had something expectant and glistening about her, like a penguin waiting for a fish. He decided that she was profoundly antipathetic – that voice like a medium’s, those clairvoyant eyes, and that sturdy little body in inappropriate sailor trousers! His inability to read people’s true characters is meant, perhaps, to be endearing; instead it’s simply another aspect of his irritating self-absorption and emotional sterility. And he’s a terrible snob, as that last extract indicates. I raced through the final third of this mercifully short novel for all the wrong reasons: I couldn’t wait for it to end. There’s some interest in the decadence of this seedy set Naylor falsely believes he’s accepted into: the bacchanalian evenings he participates in are attended by a range of sexually ambivalent types. These scenes caused Connolly to find it difficult to find a publisher initially on the grounds that the book was indecent. One of the first such gatherings led Naylor to conclude it ‘didn’t provide much evidence of human progress’, and reminded him he ‘was on the wrong side of Eden.’ It isn’t indecent. It’s just rather flashily tedious. Blaise Cendrars does this kind of thing with much more panache, wit and weird charm. 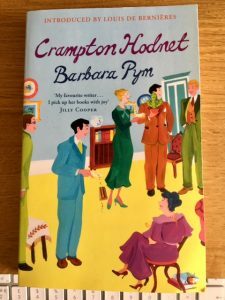 Clergymen, spinsters and gossip: Barbara Pym, Crampton Hodnet. She was a large, formidable woman of seventy with thick grey hair. She wore a purple woollen dress and many gold chains round her neck. Her chief work in life was interfering in other people’s business and imposing her strong personality upon those who were weaker than herself. 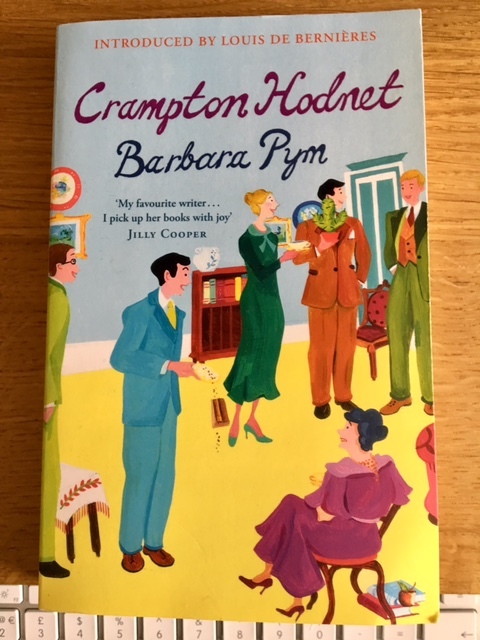 Barbara Pym is good at using clothes (and hats) as an index of character. That purple dress and bling is a clear sign that Maude Doggett is another, rather stupider, Lady Catherine de Bourgh. A companion is looked upon as a piece of furniture. She is hardly a person at all. Shortly before that opening description, Miss Doggett had barked at Miss Morrow about the whereabouts of the buns for the imminent (and excruciating) teaparty she regularly held for sycophantic or long-suffering undergraduates (the novel is set in genteel North Oxford) and occasional Anglican clerics. Miss Morrow felt the reassuring tickle of her woollen underwear and turned away to hide a smile. That’s the nature of the low-key humour in this flawed but entertaining novel. Through the tyrannical Miss Doggett, Pym is able to show Jessie Morrow as quietly rebellious; her small victories are achieved in various, often sartorial ways. At one point she decides against ‘her brown marocain with the beige collar’, among the ‘drab folds’ of her wardrobe, and puts on instead the richly gleaming blue velvet, bought to attend a wedding (‘Miss Doggett had thought it an extravagance’), confident that Mr Latimer, like all men, won’t notice such a frivolously colourful garment. She’s wrong. On another occasion she ‘impulsively’ buys herself a spring dress ‘of tender leaf green’, which she hides in her wardrobe ‘among her old, drab things’, knowing it will inspire ‘damping remarks and disapproving raised eyebrows’, Miss Doggett’s especially. ‘Really, Miss Morrow,’ she began, ‘really…’ and then muttered a word that sounded like ‘popinjay’. Miss Doggett said nothing. Perhaps in her opinion Miss Morrow hardly counted as a woman, certainly not the kind to be associated with spring and new dresses. The ‘strained’ dinner the three of them take soon after is one of several such set pieces in the novel, delicately nuanced, its seemingly innocuous humour spikily barbed. And it’s noteworthy that it’s through her choices of dress that Miss Morrow precipitates Mr Latimer’s unflattering proposal. Others have written well about the plot (concerning multiple doomed romances and individuals trapped by social circumstance), which is perhaps the weakest aspect of this comedy of thwarted passions and ill-fated, farcical liaisons (and there are some awkward repetitions, like that overused ‘drab’ I’ve quoted already), so I’ll give some links at the end. All I’ll say is that Miss Morrow’s archly amused refusal of Mr Latimer’s proposal (straight out of the Mr Elton book of romantic declarations) is representative of her view that her life is as fulfilled and content as it’s ever likely to be, and that ‘worms’ of curates like Mr Latimer don’t make good husband material. Resignation and occasional rebellion are preferable to revolution, and being risk-averse is sensible: those are some of the ironically ambivalent moral lessons learned in the narrative – and Miss Morrow’s stoicism often looks like a sardonic pose, put on to disguise her true, vibrant, indomitable nature. Her low-level rebellions serve to indicate that not all irrational impulses are doomed in Banbury Road, and that tender green leaves can flourish in the dogged Miss Doggett’s ghastly drawing-room, stuffed full of faded sepia photographs and dreary prints, intended to display her good taste, but which serve instead to confirm her narrow-mindedness. Thoughtful 2013 review by blogger Heavenali. Interesting 2015 essay by Rose Little (on the B. Pym Society’s website) on her long friendship with near-contemporary Elizabeth Taylor, based on the archive of their surviving correspondence held at the Bodleian. Little shows how both writers were interested in the themes of loneliness and the ways that individuals can become isolated from others. I discussed this, among other topics, in my recent pieces on Taylor’s short stories, and her novel Mrs Palfrey at the Claremont. Victoria Glendinning’s Afterword to this Virago edition of Rebecca West’s Cousin Rosamund points out that the author left her continuation of The Fountain Overflows (which I wrote about recently here) in a typescript dating probably from the late 1950s. Part of it was published the year after her death (in 1983, aged 90) as This Real Night. She summarises how West mapped out how the story would have ended, soon after WWII. 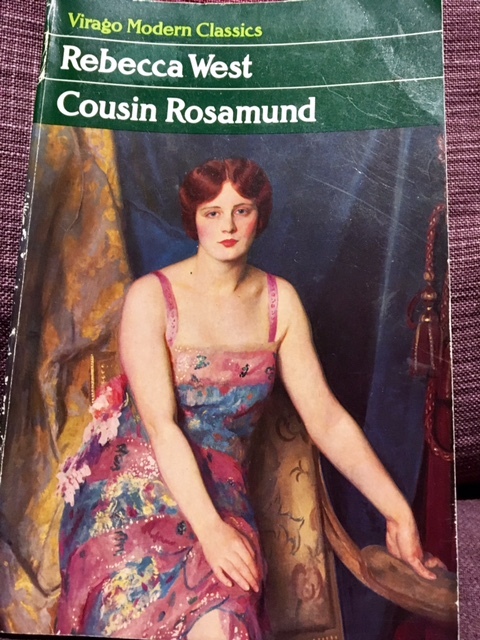 The remainder constitutes about two thirds of Cousin Rosamund. After Rebecca West’s death her secretary found manuscripts which developed the story of the Aubrey family beyond the point where the typescript ended. Rebecca West was a meticulous reviser of her work, and would presumably have edited the last third of this final novel in the Aubrey sequence before its publication. But as Glendinning says, ‘there is such fierceness and freshness in the drafted later section that one cannot regret what she might have considered as its lack of polish’. The painting on the VMC cover is ‘Glitter’, by American artist William Paxton. The zest of The Fountain Overflows is much reduced in the two sequels. In Cousin Rosamund the action resumes just after the devastation of WWI. Rose, the narrator, and her twin sister Mary have become famous concert pianists (like their mother before them). Conventional elder sister Cordelia has entered into a mundane, bourgeois marriage, and grown ever more distant and critical of her eccentric family and their bohemian circle. The eponymous cousin has trained as a nurse. There’s even less plot in this final volume of the sequence than the previous two, but the lack of action rarely causes the narrative to drag. There are several beautifully realised set pieces, but the main interest increasingly resides in Rose’s response to abrasive experience during the decade or so after the first War. Several of Rose’s family and friends marry men who appear singularly bad choices. Rose becomes increasingly convinced as a consequence that celibacy and solitude are preferable; sister Mary shares that view. But Rose’s convictions become so strong she undergoes a crisis that comes close to mental breakdown. It was always so when Rosamund was with us, she found whatever we had for the moment lost. “Why, enmity, of course,” said Mary. and most of the men we met in our profession and at parties seemed not to have been fitted at birth with any apparatus for cherishing. We could believe that those who were homosexual had become so simply in order to evade any such obligation. Then she has her epiphany – her discovery that she is not so bereft that she cannot love a man. Marriage enables Rose to live again, but she experiences further anguish as well. Life is like that. André Breton, Nadja. 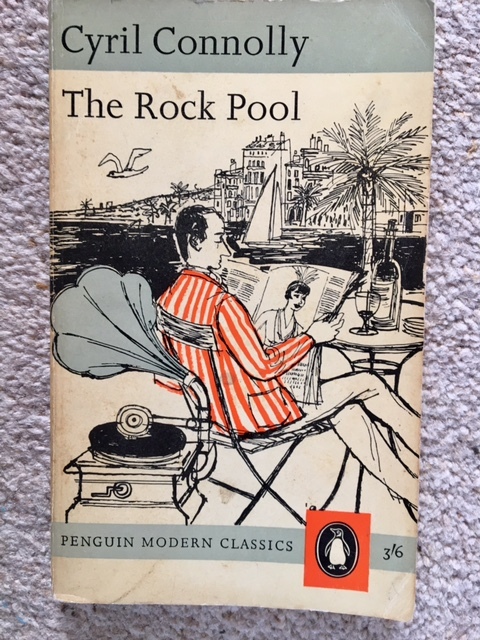 Translated by Richard Howard for the American Grove Press edition of 1960, and by Penguin when they added this title to their Modern Classics series in 1999. I’ve found this a particularly difficult post to write. Magnolias and daffodils are blooming and spring is on the way. More important than troublesome books, perhaps. Nadja has some fine passages that make rewarding reading. But it’s a morally bankrupt book, I feel. I know I should be assessing it from an objectively literary or artistic perspective. But there it is: it’s beyond my control. This is a blog, not an academic journal. 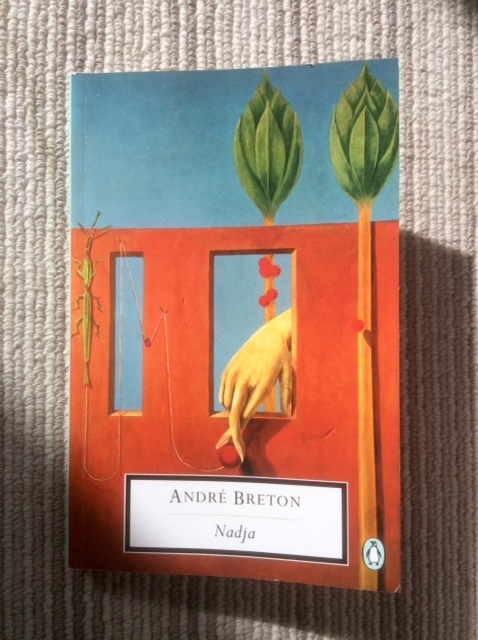 Nadja’s opening paragraphs set the tone of strangeness and authority that resonate through much of the book (I can’t call it a novel or romance – a generic problem which the Breton biographer Mark Polizzotti discusses in his informative Introduction). If anything it’s an unreliable autobiography. The narrator bears AB’s name and many of his views, though of course it would be naïve to take this at face value: he’s a literary construct. Hardly distorted in this sense, the word suggests that what I regard as the objective, more or less deliberate manifestations of my existence are merely the premises, within the limits of this existence, of an activity whose true extent is quite unknown to me. My image of the “ghost”, including everything conventional about its appearance as well as its blind submission to certain contingencies of time and place, is particularly significant for me as the finite representation of a torment that may be eternal. These looping, intricate sentences have a poetic-philosophical potency that is both weird and elusive while at the same time existentially dramatic. That final phrase is tremendous. Artful. an idea of irreparable loss, of punishment, of a fall whose lack of moral basis is, as I see it, indisputable…I strive, in relation to other men, to discover the nature, if not the necessity, of my difference from them. This is typical of the plaintive quest for truth and identity that the book presents – but I’ve quoted them at length because, for me, these extracts also show where I have a problem with it. It’s all about HIM. And ‘men’. Women play a secondary role in the surrealist world Breton constructs. Perhaps I’m reading this wrongly; it’s not an easy text to understand. Breton is surely trying hard not to be coherent, comprehensible or to create a conventional, linear narrative. As he says later on, the psychological novel with its empiricist basis is, for him, dead. He has no interest in the nature of bourgeois reality; his focus is on himself and his own experience. This is all very interesting, for a while. But I found it palled – and there are 60 pages of it before Nadja herself appears. 60 pages full of the dropping of names of his important avant-garde friends, from Aragon to Picasso. The influence of Huysmans is acknowledged (not a good sign). He immediately invites her for a drink in a café, the first of many assignations (bizarre trysts) over a ten-day period. He’s clearly infatuated, fascinated by ‘the soul in limbo’ as she describes herself, this proto-beatnik with the kohl-rimmed, fern-coloured eyes and the sultry (inauthentic) Russian name, who clings on to existence by smuggling cocaine, and possibly selling herself. Life is other than what one writes. She leaves him glowing with self-satisfaction, for she confides that the quality about him that touched her most was his ‘simplicity’ (his italics). Really?! All this is transparently disingenuous and pompous of him. As their strange liaison develops she reveals disturbing details about her past, and is evidently a troubled soul. She speaks in sphinx-like aphorisms and paradoxical, portentous riddles (‘I am the thought on the bath in the room without mirrors’): the very essence of surrealism. Breton is beside himself: she’s his dream woman, for she symbolises…him and all his beliefs. But as her frail hold on sanity becomes more apparent, and her haunted eccentricity becomes increasingly extreme, he realises he’s mistaken incipient insanity for the embodiment of a surrealist’s rejection of rationality. Even her surrealist drawings, reproduced in this text in blotchy monochrome (a technique Sebald was to make more interesting use of), he chooses to see as preternatural signs of her role for him as Muse. Freud would no doubt interpret them differently. It’s at this point that Breton finally lost me. Even by their second meeting he’s writing ‘it is apparent that she is at my mercy’. Yes, he loves that she seems ‘so pure, so free of any earthly tie, and cares for so little, but so marvellously, for life’. She’s a ‘Melusina’ spirit, in his eyes. That’s how he chooses to see her at first, rather than as the psychologically vulnerable young woman (she was 24; Nadja is based on a real-life person) he comes to recognise. Which is when he rejects her. How does she regard me, how does she judge me? It is unforgivable of me to go on seeing her if I do not love her. Don’t I love her? When I am near her I am nearer things which are near her. His egotism excuses for him every exploitative moment he spends with her. He discusses her with his wife and friends. Nadja is not autobiography, but I find the way he portrays his callous treatment of this damaged young woman inexcusable (‘unforgivable’). Not a particularly valid literary response, but one I can’t avoid. He took her to be ‘a free genius, something like one of those spirits of the air, which certain magical practices momentarily permit us to entertain but which we can never overcome.’ Ominous that he doesn’t say ‘love’, but ‘overcome’. She’s important to him only as long as she inspires him, and ‘takes [him] for a god’, ‘thinks of [him] as the sun’, her ‘master’. Being adored by a gorgeous, abandoned waif is a tremendous aphrodisiac, and he gorges on it. perhaps I have not been adequate to what she offered me. I was told, several months ago, that Nadja was mad. …I do not suppose there can be much difference for Nadja between the inside of a sanitarium and the outside. He’s making a cheap surrealist jibe against the relative madness of bourgeois society: Nadja has become nothing more than a convenient tool to facilitate the construction of his private aesthetic-political manifesto. His denial of Nadja was the ultimate expression of this smug and callous character. I just hope it wasn’t the real André Breton, and he chose to create this monster for some kind of surreal literary exercise. This is the same character who earlier wrote about writing Nadja in the Manoir d’Ango as he liked, ‘where I was able to hunt owls as well.’ When I first read this I thought it a surreal joke (there’s an equally good one about ‘the spider in the corner’). When I got to the book’s end that sentence took on a different significance; he’s using Nadja’s mental implosion as another aspect of inspiration, pulling fragments of her shattered psyche out of the wreckage and making them into beautiful literary objects. I can’t countenance that, no matter how beautiful they are. But I’m willing to acknowledge that all of this might be a wilful misreading of a surreal text as if it were written by one of those empiricists Breton hated – you know, charlatans like Flaubert.